The EU is to screen foreign investments to avoid takeovers in some sensitive sectors. But the plan, mainly aimed at China, will raise political and technical difficulties. In his state of the union speech on Wednesday (13 September), European Commission president Jean-Claude Juncker announced the creation of a "new EU framework for investment screening". "If a foreign, state-owned, company wants to purchase a European harbour, part of our energy infrastructure or a defence technology firm, this should only happen with transparency, with scrutiny, and debate," he said. He added that it was a "political responsibility to know what is going on in our own backyard so that we can protect our collective security if needed." 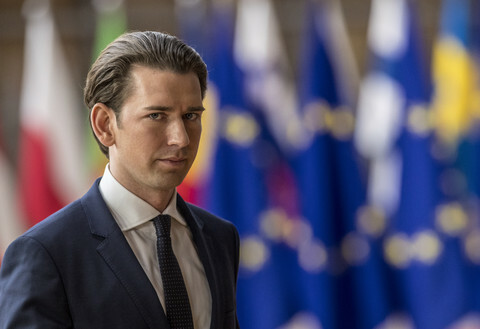 "Europe must always defend its strategic interests," he said. 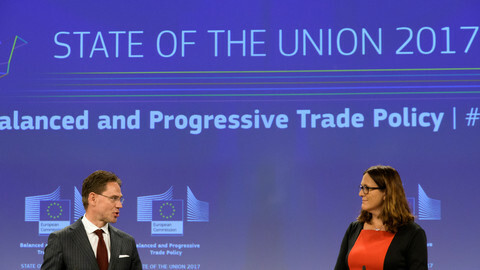 The EU executive has not presented the details of its proposal yet, but the plan is to involve better coordination between national authorities, with the commission and member states being able to oppose takeover plans by foreign powers in the EU. The assessment would be non-binding. So far, some 15 EU countries have agencies that screen foreign investments on their territory. The idea to defend the EU against potentially hostile investments was pushed by France and supported by Germany and Italy. In a common statement on Wednesday, the three countries' economy ministers welcomed Juncker's announcement as "an important step towards a level playing field in Europe." "We need to prevent other states from taking advantage of our openness in order to push through their industrial policy interests," Germany's Brigitte Zypries said. France's Bruno Le Maire noted that the proposal needed to be "complemented by further work to ensure reciprocity in public procurement and more widely in all our trade relationships." As the commission's proposal will have to be adopted by the Council of the EU - where member states meet - and by the European Parliament, Italy's Carlo Calenda said the three countries "count on the EU to swiftly agree on the proposed system". 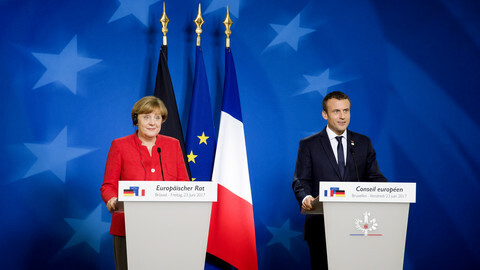 When French president Emmanuel Macron raised the issues at the EU summit in June, he got a lukewarm reaction from his colleagues. Countries like Sweden, Netherlands, and Denmark were wary of a measure that went against their free-trade traditions. Others like Greece, Portugal, and Hungary are dependent on foreign investment to develop their economies. At the June summit, EU leaders agreed to call on the commission to "analyse" foreign investments, but said member states would still take the decisions. Although the screening will apply to all foreign, state-owned investments, the main target of the measure is China. 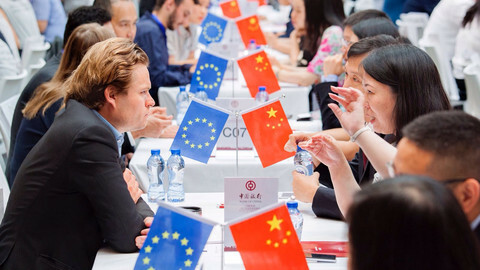 "China is becoming a prominent actor in foreign direct investments in Europe," Mikko Huotari, from the Berlin-based Mercator Institute for China Studies (Merics), told EUobserver. 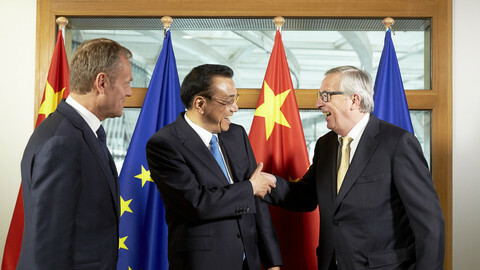 Last year, Chinese investments in the EU reached €35 billion, a 77-percent jump from 2015, according to a Merics study led by Huotari. "Chinese investors are eyeing a broad range of industries, but showed particularly strong interest in technology and advanced manufacturing assets in 2016," Merics' report noted. The EU's core economies were the main destinations of Chinese funds, with the UK and Germany getting more than half of the money. 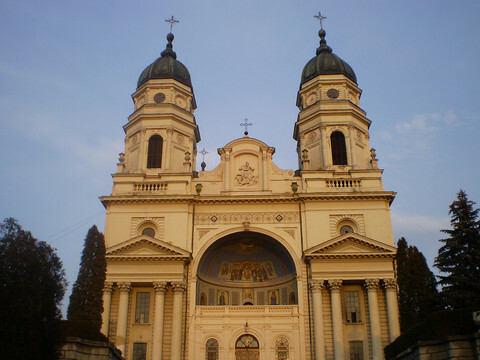 The report added that "southern Europe experienced continuing interest", especially in Greece, and that " Chinese investment in eastern Europe remains limited". In 2017, Huotari said the growth in Chinese investments in Europe will be slower, but the trend will remain. Projects will be "less splashy", with fewer real estate or hotel purchases, but they will be "more directed on what the Chinese leadership prefers", Huotari said. 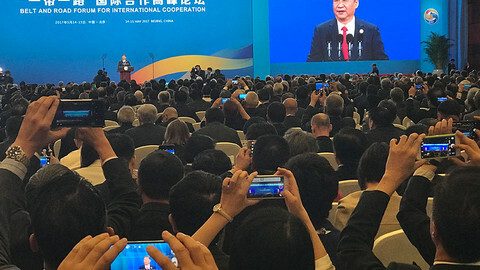 Priority is going to high-tech manufacturing, automation, and projects related to the Belt and Road initiative - a massive Chinese plan to invest in transport infrastructure from China to the Middle East, Africa, and Europe. The implementation of the screening plans could be difficult, Huotari said. "The first limitation is the current EU policy framework, which is based on the free flow of capitals," he said. "This is a principle that speaks against member states and Brussels blocking investment." Another problem, he said, would be how to define to what extent an investment was considered a national security issue. "For some industries or technologies, like semiconductors or to some extent automation or robotics, encryption, there is a legitimate case to be made," he said. But in other cases, "there is a long stretch from national security to strategic industries." For Huotari, the screening's efficiency will depend on how far member states can go with the interpretation of the future mechanism's assessments. "We have to wait until the first case, and it is not for now," he said. 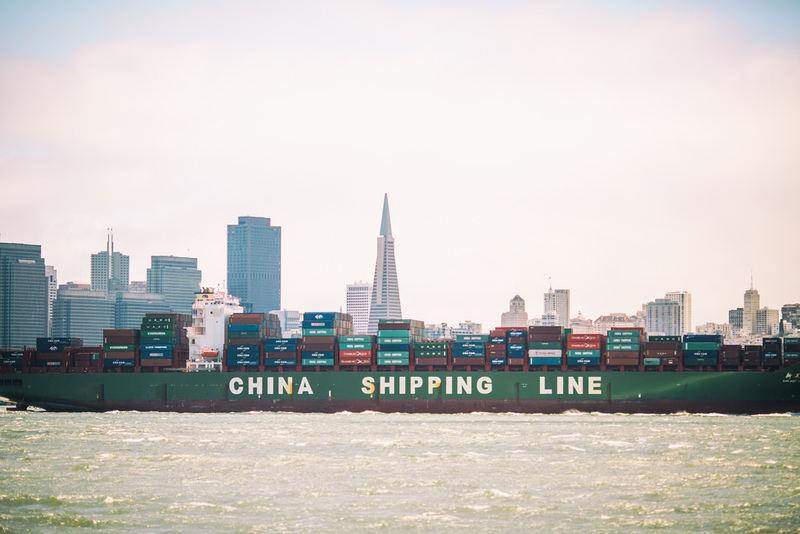 In the shorter term, the plan, combined with an ongoing discussion over anti-dumping measures, could be "a major bone of contention in relations with China," Huotari added. 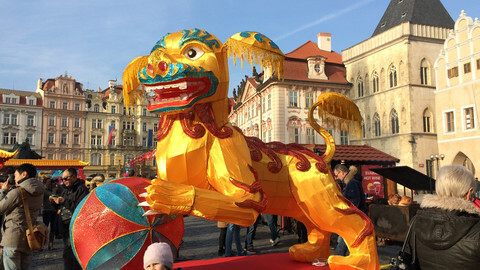 But in a global context where the EU and China are trying to maintain common interests, "China will be able to handle it," he said. 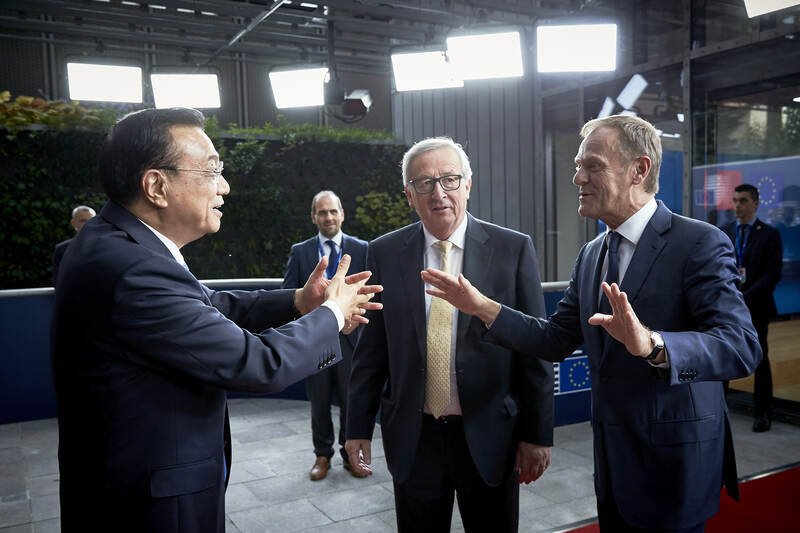 European companies want Chinese leaders to be more open to foreign investment and live up to earlier pledges on free trade and globalisation against a more protectionist US.